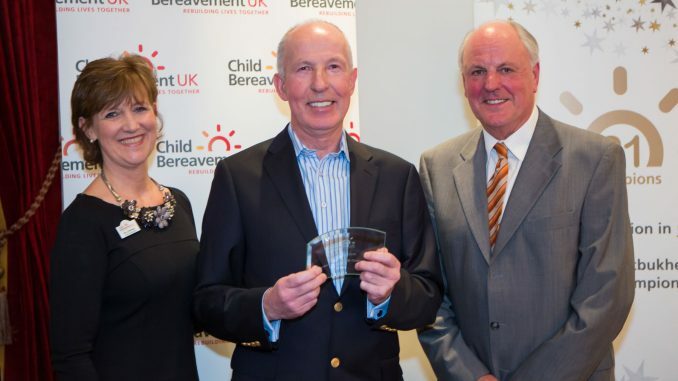 The Garden Players’ co-founder Steve McAdam has been recognised at a ceremony to celebrate Child Bereavement UK’s 21st birthday. He was selected as one of a group of extraordinary people who have made an impact on the charity. Steve McAdam has been putting on Shakespeare plays with The Garden Players for 9 years and counting. With the help of fellow actors, family and friends, Steve has been instrumental in raising funds and awareness amongst audiences and via local media; since their inaugural 2009 production of Much Ado About Nothing, The Garden Players have raised over £71,000 for Child Bereavement UK.